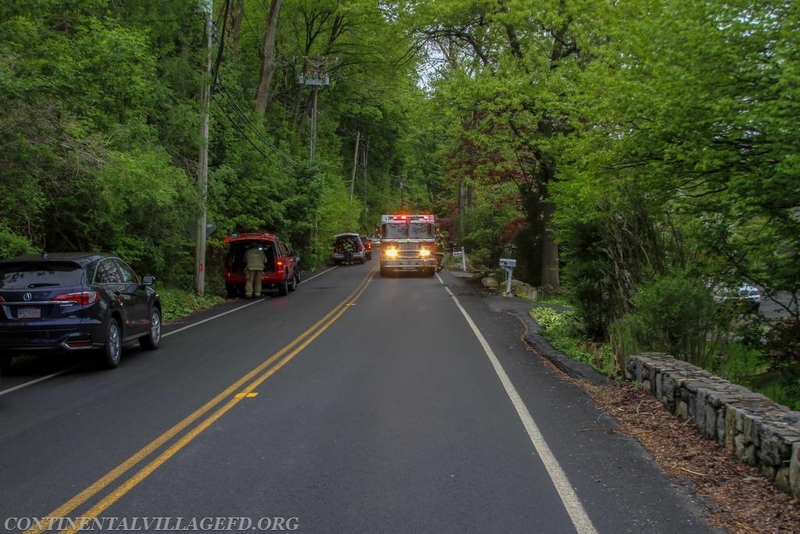 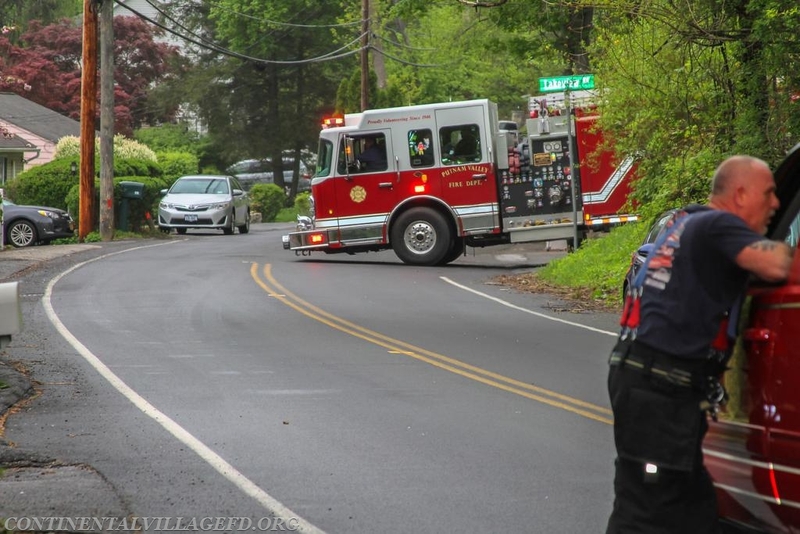 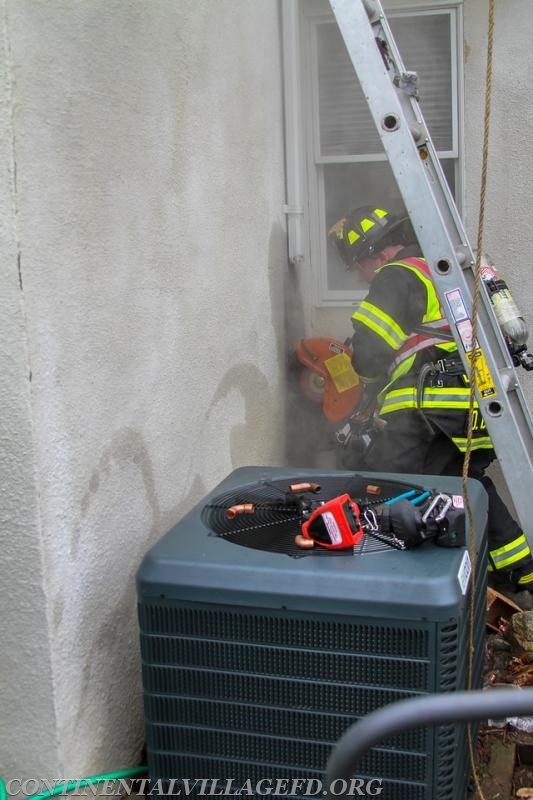 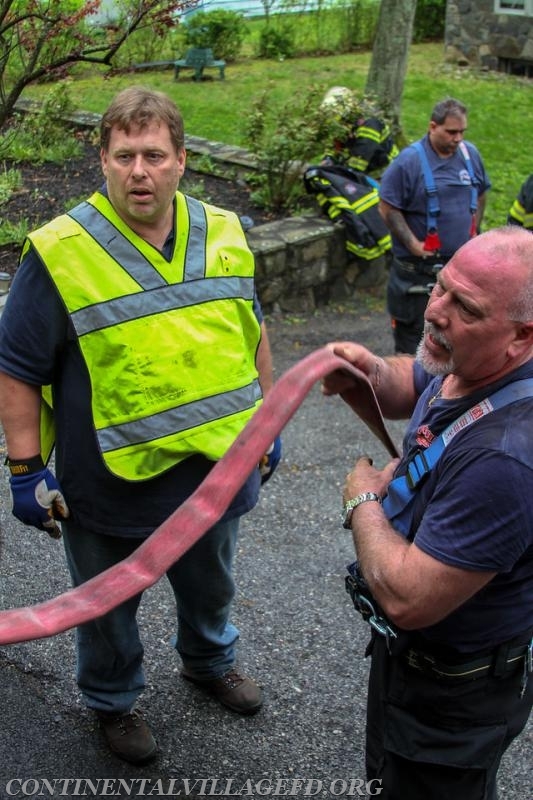 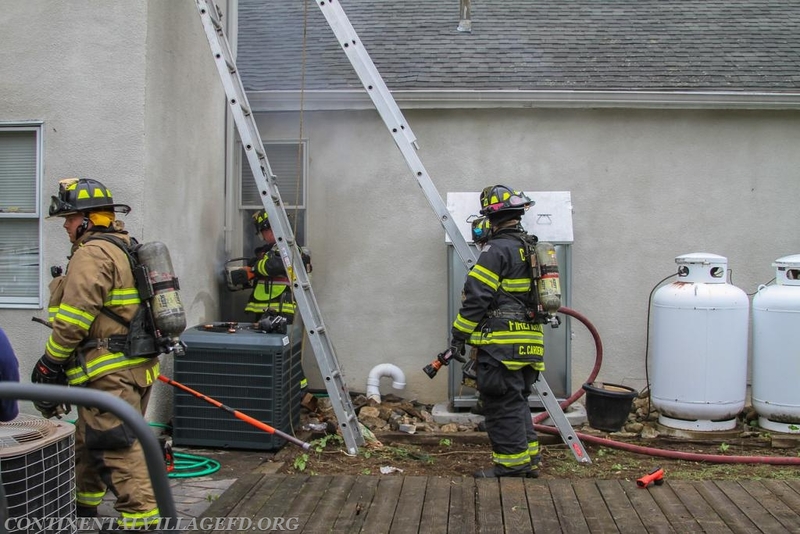 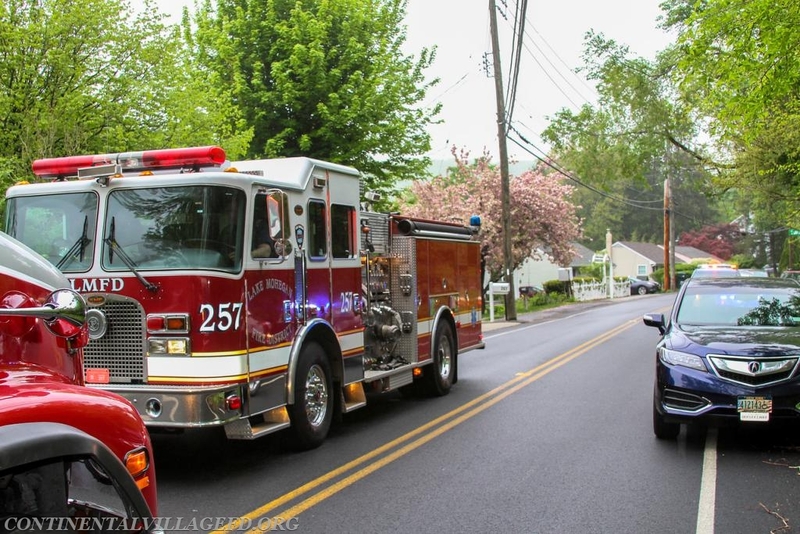 On Saturday afternoon the Continental Village Fire Department was dispatched to a residence on Sprout Brook Road for a reported structure fire. 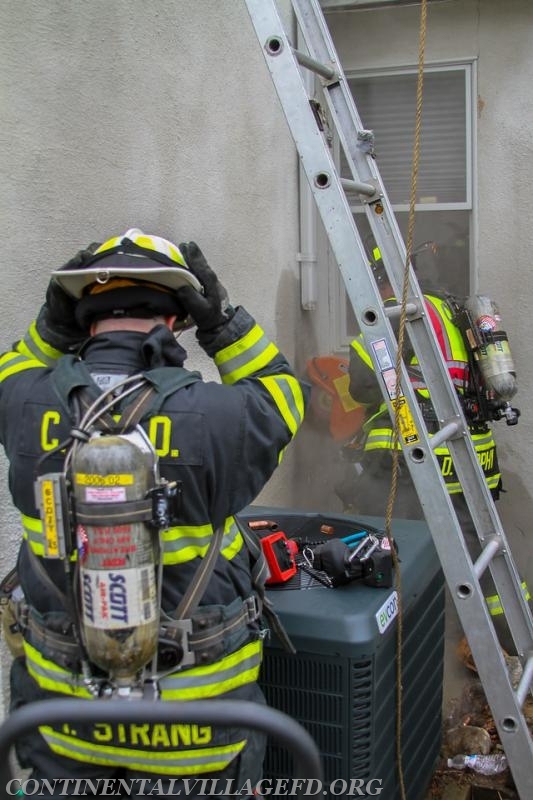 Once the first unit arrived on scene the chiefs did their 360 walk around and found smoke coming from the eves in the back of the house. 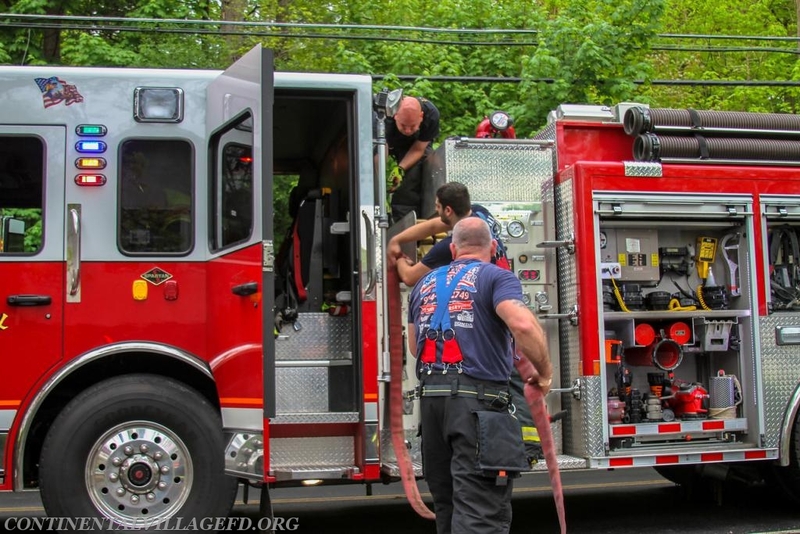 The IC then requested a Engine and manpower respond to the scene Mutual Aid from Putnam Valley and Mohegan's FAS Team. 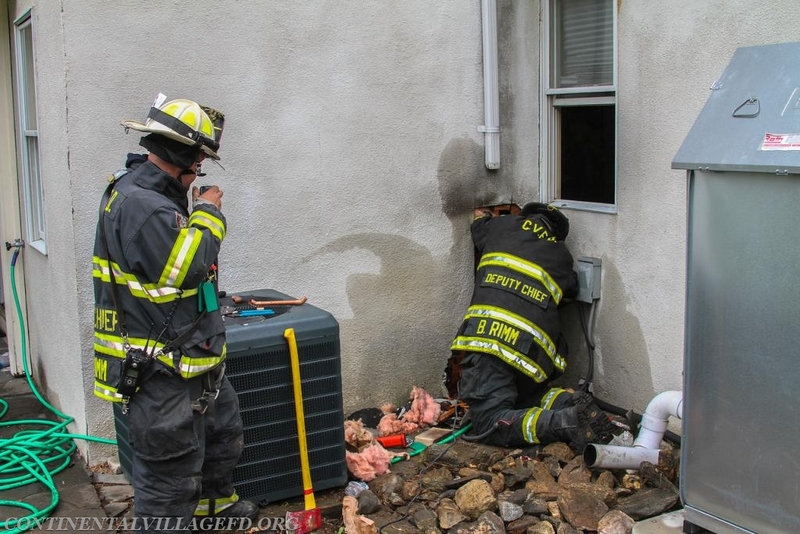 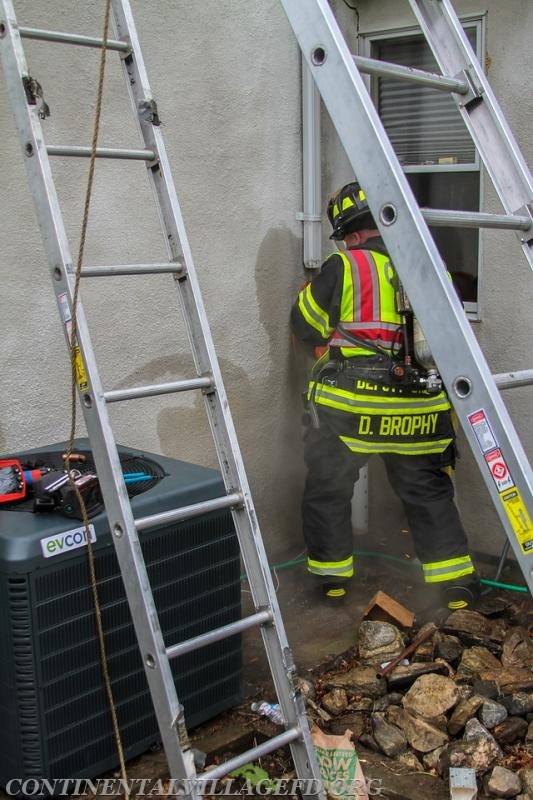 After some investigation units found that there was a active fire in an exterior wall where a worker had been soldering pipes with a torch. 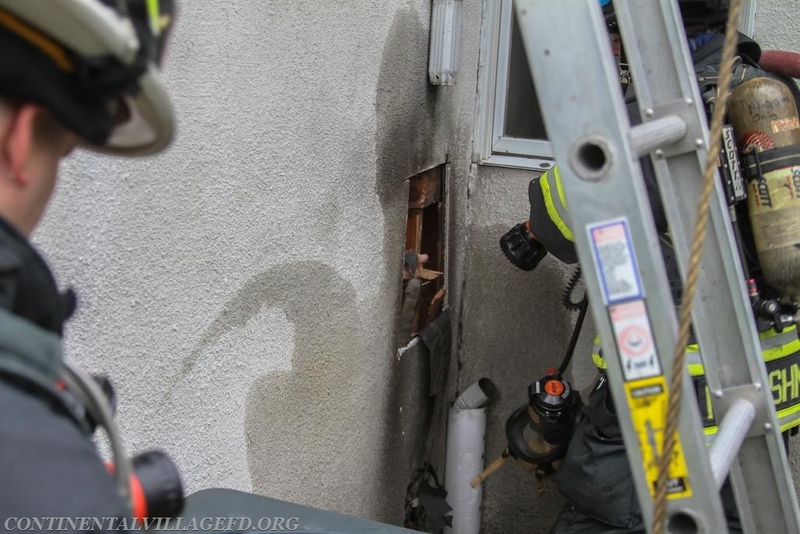 Firefighters used a Partner Saw with a masonary blade to cut a hole in the siding and were able to then extinguish the fire. 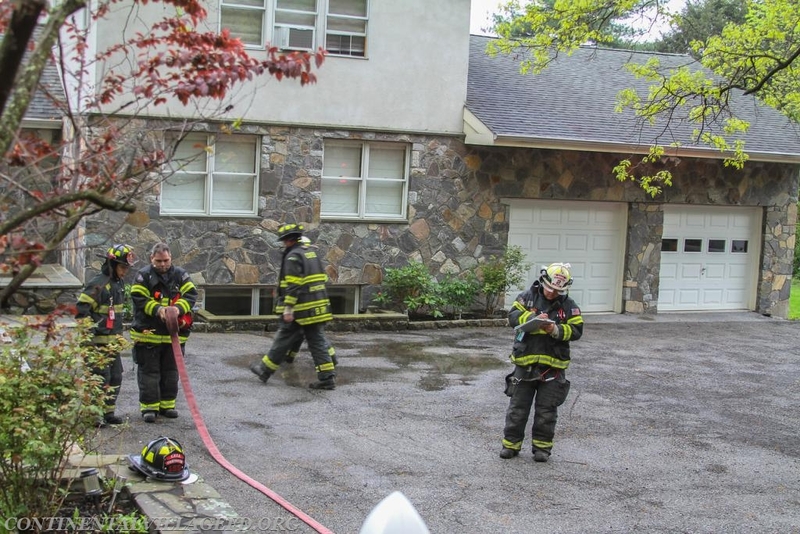 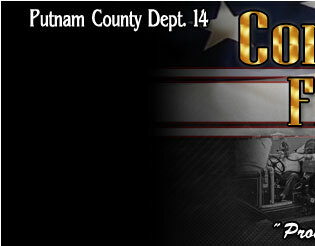 After determining the fire was out and had not spread Putnam Valley and Mohegan fire units were returned to service.